Opinion HISTORIC OPPORTUNITY TO REVOLUTIONIZE LOUISIANA ECONOMY. Gov. Bobby Jindal announced yesterday his support for repealing Louisiana’s individual and corporate income taxes — without any increase in sales or other taxes. This is the first time since Louisiana adopted a state income tax that a governor has announced his support of its repeal. This is setting up a show-down in the Louisiana Legislature more significant than at any other moment since the passage of the Right to Work act in 1976. The repeal of the income tax — or its gradual phase-out — would set in motion many other events. First, it is expected to make Louisiana competitive with its chief rivals — Texas and Florida — as a place where major corporations can locate their operations, including their headquarters, without the fear of excessive taxation. Second, it is expected to make Louisiana a retirement center, where a low cost of living and the absence of state income taxes draw in people over 65 to own a home and spend their retirement years. Third, it is expected to grow the economy, improving employment and stimulating job creation. Fourth, a better economy is expected to increase the collection of sales taxes and other taxes, thus narrowing the shortfall caused by the elimination of income taxes and benefitting local governments. Fifth, it would undoubtedly force the governor and the legislature to cut the size and cost of state government in order to balance the budget. Over the past three months, Gov. Jindal’s original tax reform proposal created a cast of supporters and opponents. Some of the opposition was based on the fact that the Jindal plan increased state sales taxes on business by $1.5 billion. Now, with the tax increases out of the plan, many of the opponents are likely to change their position and support the new Jindal plan. 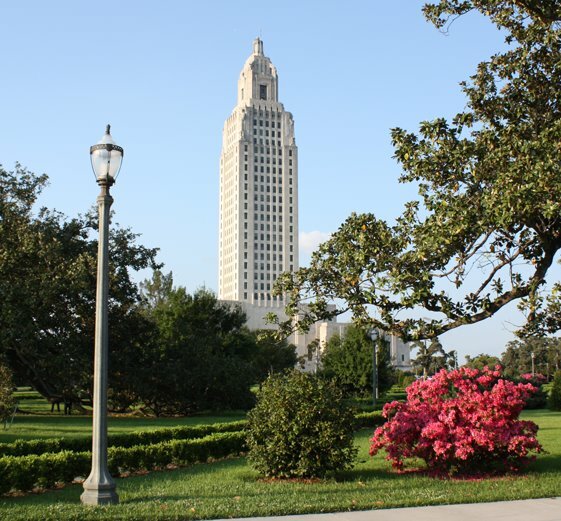 Unlike the former plan, which required a two-thirds’ vote in the Louisiana House and Senate, the new plan only requires a simple majority, because it does not include a tax increase. Now the battle to make Louisiana competitive with its sister states begins in earnest!